October 3, 2017 March 3, 2019 by jlh8277 Comments on Recipes! – Celery Juice! Fresh celery juice is one of the most powerful and healing juices one can drink. Just 16 oz of fresh celery juice every morning on an empty stomach can transform your health and digestion in as little as one week. 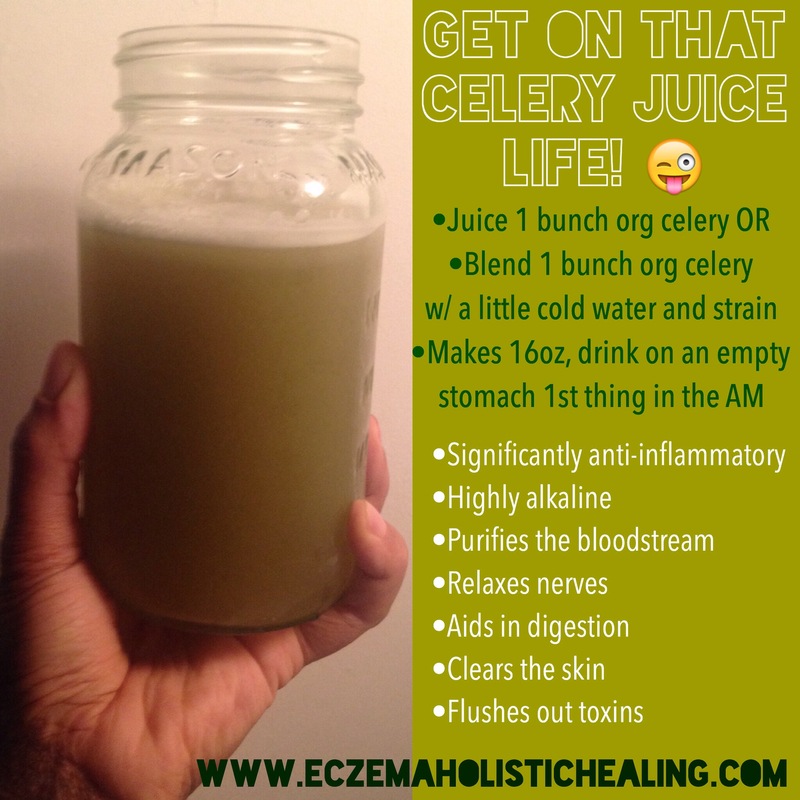 Celery juice also has significant anti-inflammatory properties making it highly beneficial for those who suffer from autoimmune conditions such as Fibromyalgia, Chronic Fatigue Syndrome, Migraines, Vertigo, IBS, Rheumatoid Arthritis, Psoriasis, Eczema, Acne, Lupus, Guillain-Barre, Sarcoidosis, Raynaud’s, Meniere’s, GERD, Bursitis, Restless Leg Syndrome, and Gout. Celery juice is rich in organic sodium content and has the ability to dislodge calcium deposits from the joints and hold them in solution until they can be eliminated safely from the kidneys. It is also an effective natural diuretic and has ample ability to flush toxins out of the body which makes it excellent to use on any weight loss program. Using a juicer, simply just press the freshly washed celery through the juicer and enjoy! *Make sure to drink once you juice or blend it, you don’t want to really let it sit, but if you do want to store it put it in an airtight glass container like a mason jar. *Another great tip is to make a chewing motion as you’re drinking it. Whenever you are drinking a blended fruit or veggie juice you want to do this as it signals to the digestive tract that food is coming and to prepare to digest. It also stimulates the enzymes in the mouth to help break down the drink. This is seriously the most effective remedy that I’ve done for that awful eczema ooze, HANDS DOWN! I so wish I had found out about it in my early incredibly awful stages of topical steroid withdrawal where I had open wounds and ooze literally dripping down my legs and feet as well as a light covering over my cheeks, sometimes coming out of my ears, light coverings on my legs and stomach. As time went on the ooze pretty much stayed from my legs down with the occasional face ooze. Before TSW I never experienced the ooze as intense before. It would seem to happen in my scalp sometimes, and on my face and ears if I had been drinking a lot of alcohol the night before. When I started to experience it during TSW it was for me the absolute worst symptom in the whole process. I would stick to my sheets at night and the awful smell that it produced would make me feel so sick. When my skin oozes, I tend to leave it be to do it’s thing, dry up on it’s own, crust and fall off. I’ve found that applying anything to it like coconut oil and turmeric (which is an effective remedy on dry skin and cuts) or even washing it just made it ooze more. The first time I tried this remedy was when I came down to stay with my mother in Florida. She is all about using essential oils for all kinds of illnesses and suggested that I take it in a capsule form. I did 3 drops, diluted with fractionated coconut oil in a veggie cap and took them every 5 hours (you should only take up to 24 drops of EO’s a day). This remedy is powerful and shouldn’t be done more than 10-14 days (take a week off and if needed do another 10-14 days). I like to do this for 7 days on 7 days off if I need to, but it’s so powerful I never got up to 7 days. Within the next day I noticed the ooze drying up and by the second or third day it was totally done. I was pretty amazed at the progress! That was truly the last time I experienced terrible oozing and from then on whenever I’d flare it would be minor oozing and I’d do the oregano oil capsule and only really need to do it for a few days! Sometimes I would add frankincense essential oil for extra anti inflammatory properties. If I was also in pain with aching, tingling, never pain, etc I would add marjoram, lemongrass and frankincense essential oils. This remedy is known as the “morphine bomb” and is very effective at reliving the pain. I would even apply these oils to the soles of my feet when my the tops of my feet had that intense throbbing, aching, burning pain and within 10 minutes the pain subsides! 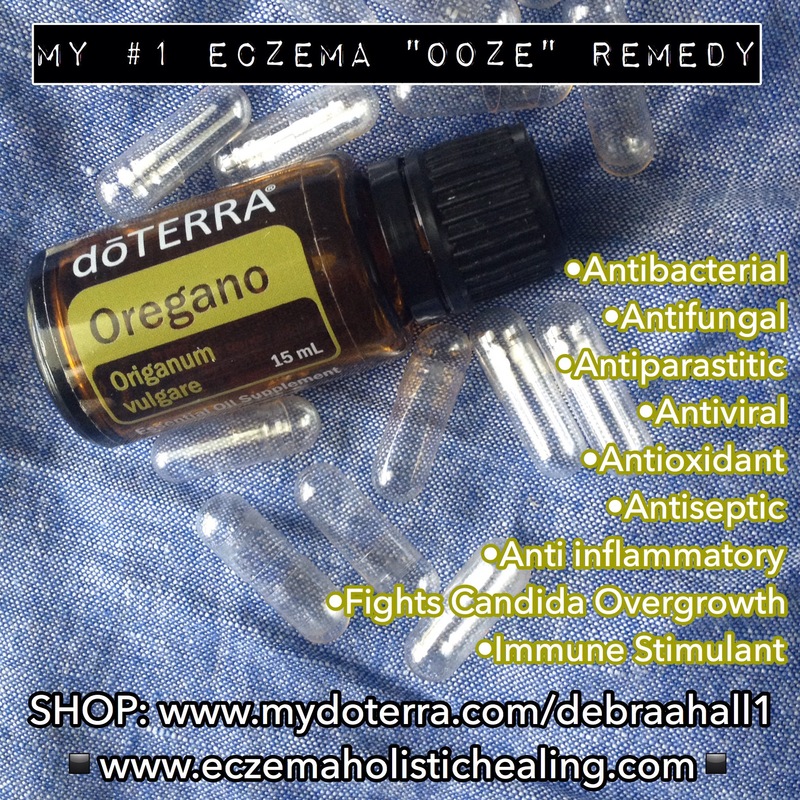 I highly recommend taking oregano oil internally to combat the ooze symptoms of eczema, along with a healthy cleansing diet, hydrating a lot throughout the day (drinking half your weight in oz of water daily) and plenty of rest. You can also implement deep cleansing methods like fasting, enemas and colonics. August 30, 2017 November 13, 2017 by jlh8273 Comments on Pineapples! Pineapples are great for skin health because they are the richest source in the world of the proteolytic enzyme, bromelain which is great for the digestion. Bromelain helps to break down proteins into peptides and amino acids. It can ease the whole digestive process and aids in the symptoms of acid reflux. We need our digestive tracts to be working efficiently for good gut health. The bromelain also acts as an anti-inflammatory and anti-swelling agent. Bromelain has been found to speed healing, and the anti-inflammatory benefits in it are similar to OTC meds like aspirin and ibuprofen. More about the processes of digestive enzymes and also in supplement form HERE! Additionally when applied topically, the benefits of pineapple include its ability to help in healing cuts, burns, insect bites and to help dissipate bruising and other skin problems. Another cool fact is that It can also help soothe and relax tense, inflamed muscles and connective tissue; this is why it is commonly used as a meat tenderizer. Pineapples are super rich in Vitamin C (just 1 cup gives you 131% of your daily value! ), Vitamin B1, potassium, manganese, fiber and antioxidants. 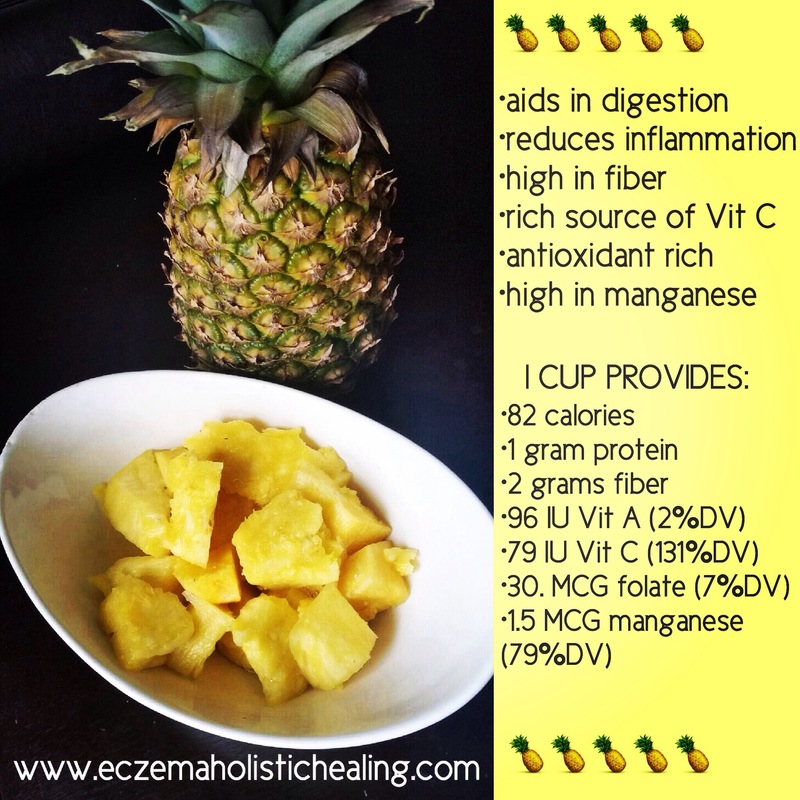 The abundance of Vitamin C in pineapples can help reduce the itch in eczema as it is an anti histamine rich food. One of the main causes of increased histamine levels in the body is a vitamin C deficiency. Make sure to allow your pineapple to ripen fully, when it smells fragrant, is becoming a nice golden colour overall and the leaves are becoming dry…to where they are coming off without having to pull them out too hard they are ready to eat! Make sure to add this film to your Netflix queue! 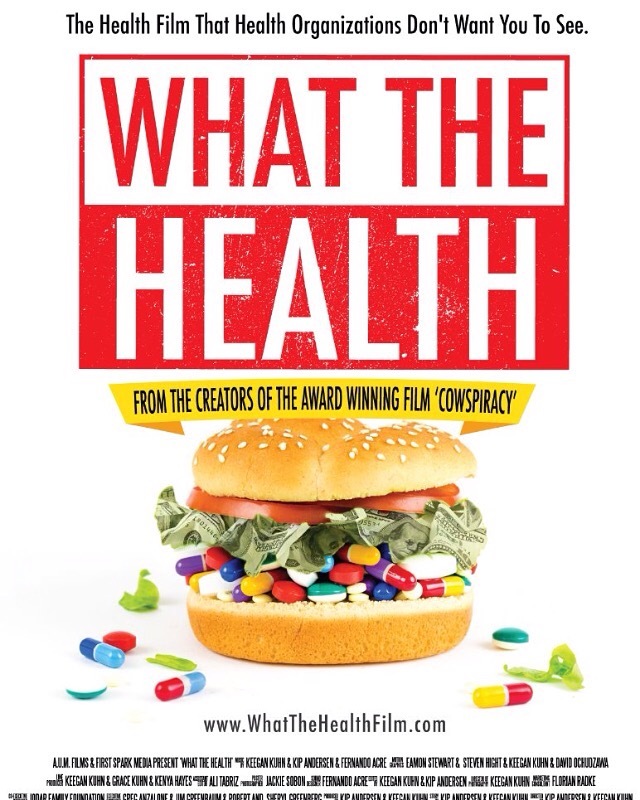 The illnesses that plague us today do not have to be a death sentence, we can prevent and even REVERSE disease with a simple change in the way we eat. We don’t have to be a slave to medicine when we can let the food be our medicine. I think we all need to be aware how the gov, FDA and big pharma are all tangled up with their own agenda to keep us sick, we can choose to live consciously, ensure life long health, help the environment, animals and our communities with our forks! Please take the time to watch this documentary and make sure to share with others!